Your boss has already sized you up. You wouldn’t have been hired if your boss didn’t think you were the right person for the job, so in a way your boss already feels like you are someone that they will be able to communicate with and relate too. Try and find out what kind of person your boss is; are they the strong, silent type? Are they easily approachable? Are they a micro-manager? Remember, your boss is just a person like you; with normal feelings and ups and downs. Once you have a better idea of what type of person your boss is, communication and knowing when to communicate becomes much easier. If you’re doing your job, you’re making it easier for your boss to do their job. In other words, if you are doing what you were hired to do, you are already standing out. Your boss will always be the first person who notices whether or not the person they hired is actually DOING their job! Striving for “exceeding expectations” on your work will always get noticed. Be organized even if you or your boss aren’t organized people in your personal lives. Organized work and organized goals for the company make all bosses happy. ESPECIALLY the un-organized bosses! It’s a simple formula, a happy boss = an easier boss to communicate with. Knowing how to communicate with your boss is important. You’ll find that bosses that talk a lot like to be around people who talk a lot too; and conversely, bosses that don’t talk much like to be around people who don’t talk much as well. You’ll know early on which type of communicator your boss is, so the rule of thumb is: be talkative to a talkative boss and be quiet to a quiet boss. When in doubt, everyone likes a listener! Your boss is busy. If you need to communicate with your boss, try to schedule a meeting time for you to talk to them that fits their schedule. Just like yours, your bosses’ time is extremely valuable, so be mindful of their schedule and their current workload. Your boss is your boss for a reason. They have more experience and time with the company and that’s why they are your boss. Learn as much as you can from them. Ask questions; ask for feedback. All of these will be welcome by your boss. A good boss always wants a happier, more productive employee. Inevitably, you will disagree with your boss. 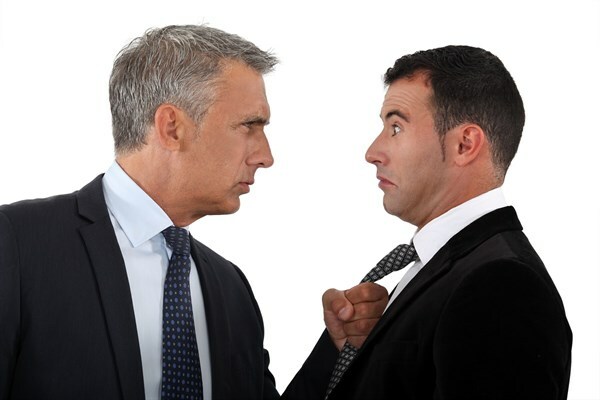 Disagreement in the workplace is nothing to fear as it happens all the time. Your boss will always try and make the best decision for the company, so you are expected to do the same. It’s fine to voice an opinion, and it’s fine to dis-agree, but do your best to keep emotions out of a disagreement. Even if your opinion is well-thought out and valid, your boss may still make a decision you don’t agree with. Don’t dwell on it. Your boss has more power, period. It’s not always easy at first, but establishing a healthy relationship with your boss can be dually productive for your company. Your boss is depending on you to do your job so that they can do their job. Get to know your boss and figure out what kind of person and communicator your boss is. Remember your boss is just a person like you who probably eats the same food, likes similar TV shows or activities. Relating to your boss on a personal level will help aid in overall communication. Use these tips to help!